As I’ve said about a million times this last month or two… life is a little bit crazy in our household. And don’t get me wrong, it’s a fun crazy, but crazy none the less. The ups and downs, the fun, the whining, the visitors, the everything. I’m truly trying to enjoy every day for it’s own unique wonderfulness. That said, I get overwhelmed fairly easily. I crave order and organization as much as my children do. And I have been feeling overwhelmed a lot these last few weeks. A little chaotic. Maybe more than a little. And while between all our guests and the computer failure I haven’t had time, or maybe more accurate, I haven’t forced myself to make time to do all the blogging and recipe posting that I would really like to. But what little I have done, has of course made me feel more grounded. Because, as a female, I really crave that need to balance out the emotional aspects of my life. And for me, blogging helps to do that. In turn, these last couple of weeks I have gotten feedback in the form of emails and facebook messages, from family and friends. Both far and near. People I talk to on a regular basis and people that I haven’t talked to (at least in person) in years. I am a people pleaser, and therefore, crave validation. I have grown, as I’ve gotten older, and it is not something that rules my life. That said, I still crave the validation. And if we’re really honest, don’t we all? So for this particular people pleaser, I’ve greatly appreciated that there are other people who feel similarly. There’s a little bit of comfort in knowing I’m not alone in all this madness. And for that, I’m grateful. Truly. So if you, like me have days where you just feel like you’re at the end of your rope, the last of your patience, and used up all your niceness by 9 am…just know that you’re not alone either. There are plenty of days I’m right there too. Biiig cup of coffee in hand. Oh no!!!!!!!!!!!! 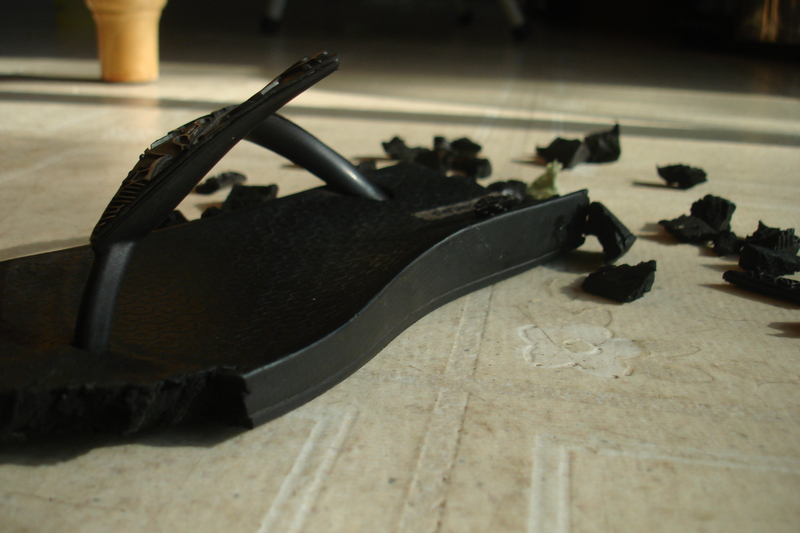 not your flip flops!